Checkpoint Youth Center is a place of light for Nome's youth. 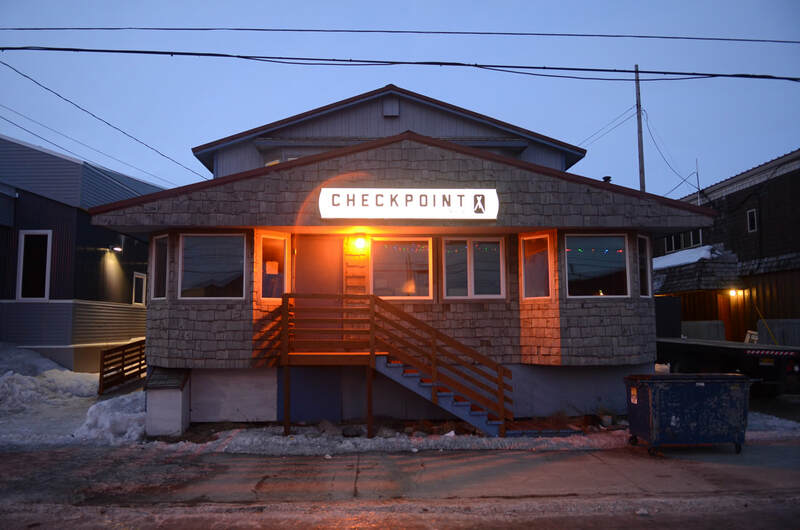 Checkpoint Youth Center in Nome was first a dream - a dream and vision to see a brightly lit building where any youth from Nome could come for warmth, friendship, advice, a meal, counsel, prayer and the excellent news about Jesus. Over the course of the last several years, we have seen this dream in reality. Checkpoint Youth Center is a ministry of Nome Covenant Church and serves hundreds of youth every year. James Ventress is a CYAK staff person that serves as the Associate Pastor for Youth Ministries at Nome Covenant and as the Director of Checkpoint Youth Center. He, along with his wife Rachel and a community of committed volunteers help to make Checkpoint a reality. 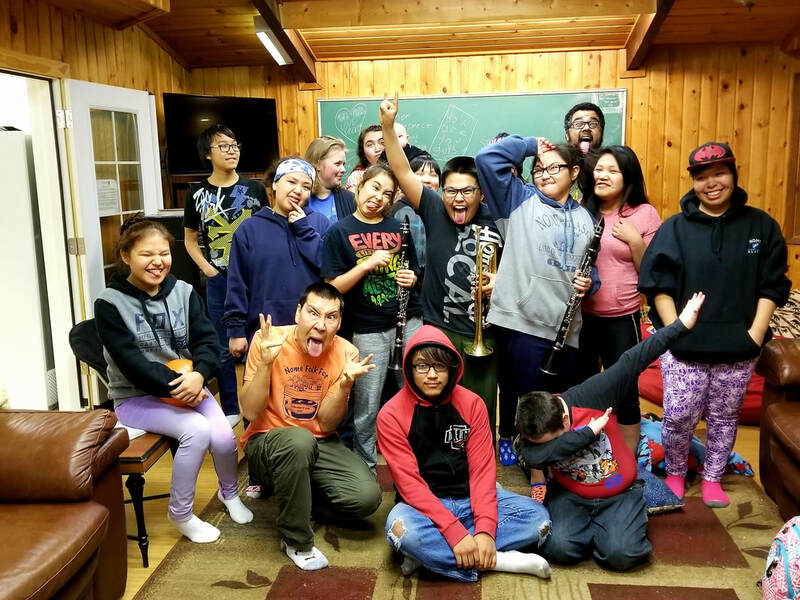 From warm meals, to tutoring, to game nights, to worship and Biblical teaching, Checkpoint is open to serve the youth of Nome. Many of the kids who come to weeknight gatherings at Checkpoint are kids who walk in off the street. Often the kids who need the building the most are not the busy, high academic achieving student athletes or the kids with a part time job. It is mostly the poorest of the poor: kids from broken homes, lots of siblings, few or no positive adult role models, substance abuse temptations or budding addictions, a history of adverse childhood experiences and often have some sort of cognitive impairment or mental health need like FASD (Fetal Alcohol Spectrum Disorder) or Bi-Polar or Schizophrenia/Schizoid Personality Disorder. Almost none of these families attend any church and the youth have little to no familiarity with the scriptures. Often times, the young people James and his team spends time with can’t count on much from their home situation and so they don’t make realistic plans for the future and they don’t dream very big dreams. It is hard for anyone to make good decisions or even know what a good decision is without support. Part of the hope of Checkpoint is to provide some level of encouragement and support to walk alongside kids as they navigate some of these difficulties. Checkpoint offers a safe place for kids to hang out and learn about Jesus; to eat a hot meal, get help with their homework, and have fun! Over the course of the last calendar year, James and Rachel estimate that just under 2,000 meals have been served to the youth of Nome. What a blessing! Checkpoint relies on donations of conventional groceries and fish or game meat. Last year, moose was often on the menu. While Checkpoint is an incredible gift to the community and to those who serve, it can also be a challenge. This can sometimes be discouraging work as the hearts of those who serve are continuously being broken and healed by the things they see and hear. Pray for the team at Checkpoint that they will have joy and not grow weary or lose heart. Please pray too for healing for people in Nome - for kids, youth and adults! Your partnership with CYAK helps support critical ministries like Checkpoint. Kids are experiencing the life and hope of Christ through this ministry, and your prayers and support are key to its success. If you are interested in supporting Checkpoint specifically, please contact us at info@cyak.org or 907.222.1432. Quyana!